What Should Happen to Secret Service Agent Who Says She Won’t Defend Trump? 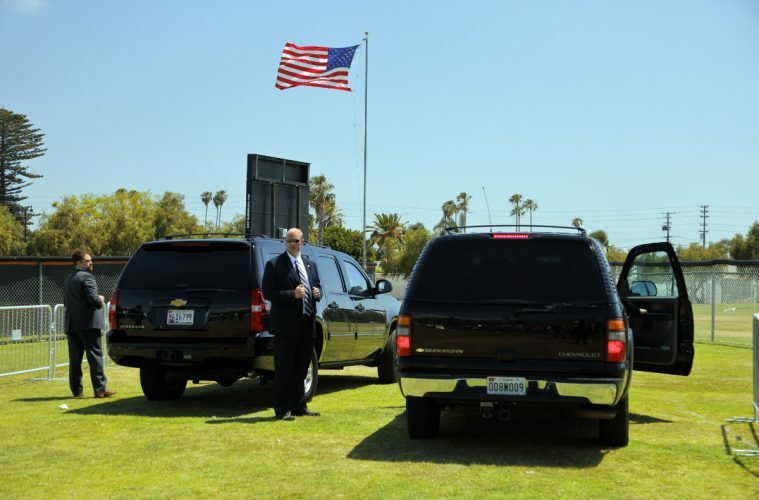 One of the main jobs of Secret Service agents is to protect the person they are assigned to. But what should happen to those agents who say they will not take a bullet to protect their assigned person? Should they be re-assigned or fired? The Secret Service said Tuesday it is taking “appropriate action” after one of its agents suggested on Facebook that she would not defend President Donald Trump should someone try to shoot him. Kerry O’Grady, a senior agent in the Denver field office, made a series of now-deleted postings on Facebook during the campaign saying that she supported Democrat Hillary Clinton and that she would not honor a federal law that prevents agents like her from airing their political beliefs publicly. O’Grady deleted the posts shortly after The Washington Examiner reported them on Tuesday. “But this world has changed and I have changed. And I would take jail time over a bullet or an endorsement for what I believe to be disaster to this country and the strong and amazing women and minorities who reside here. Hatch Act be damned. I am with Her,” she wrote. Next ArticleWill Texas Supreme Court Defy US Supreme Court on Gay Marriage Benefits?